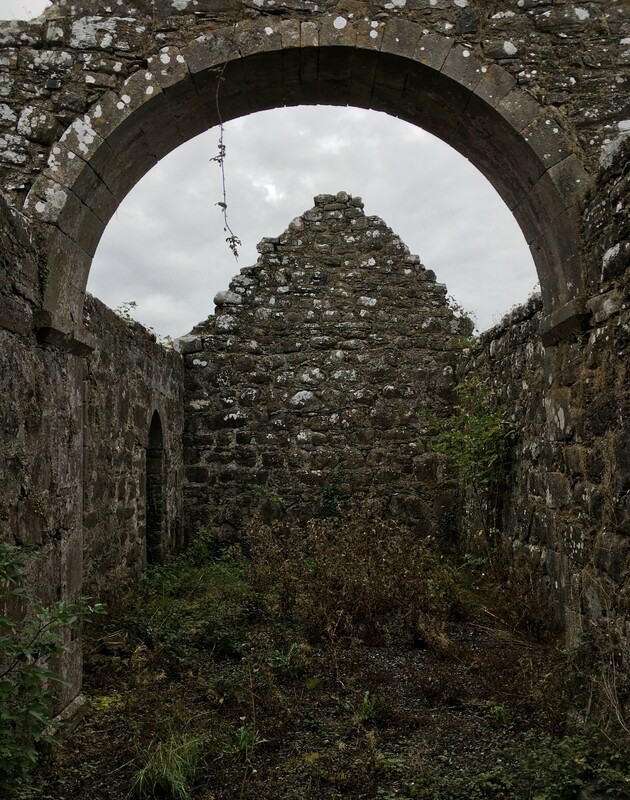 At the end of the sixth century a holy man called Fintán but now better known as St Munna, established a religious settlement at Taghmon, County Westmeath (Teach Munna: St Munna’s church). This flourished, and came to boast some 230 monks, but the present building on the site dates from the mid-15th century. 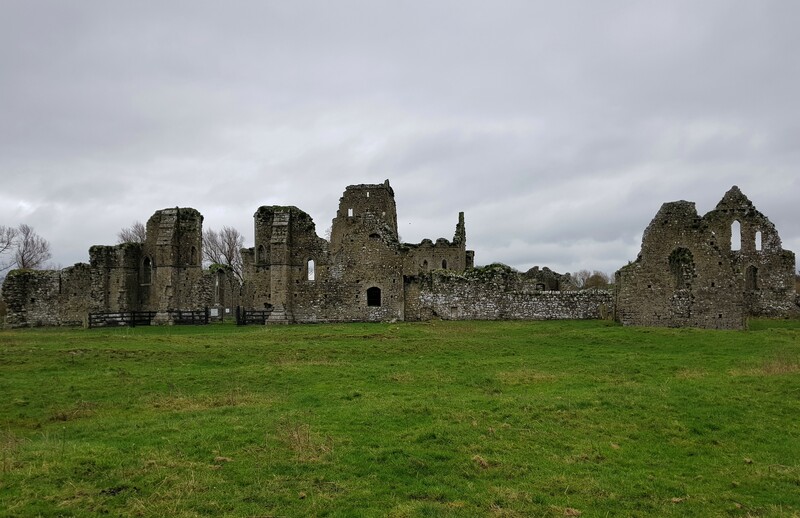 This may have been before or after the place was ransacked in 1452 by Farrell MacGeoghegan in whose family territory it lay. The need for security explains the church’s most striking feature, the fortified tower at its west end where a resident priest could be safe from attack. This is of four storeys and configured like many of the tower houses then being constructed across the country, with a store on the ground floor and living/sleeping quarters on the upper levels. In the 16th century St Munna’s church passed under the control of the Nugent family but had become ruinous within 100 years. 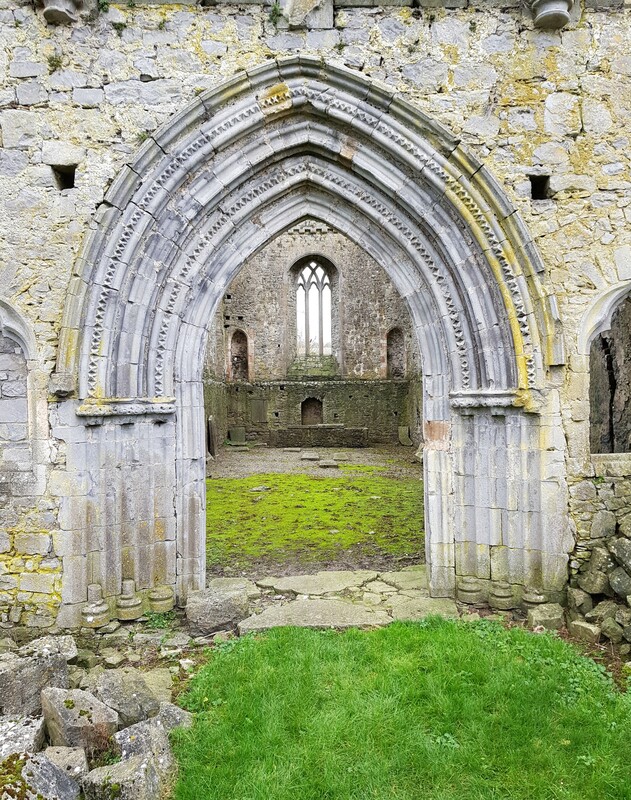 However, by 1755 it was being used by the Church of Ireland for services and in 1843 extensive restoration work was carried out under the supervision of Joseph Welland, head architect for the Board of Ecclesiastical Commissioners: it is no longer in use for services. Aside from the tower, the building’s other notable feature is a sheela-na-gig above a window on the north wall. The former church of St John the Baptist in Stonehall, County Westmeath. Built in 1809 thanks to a grant of £600 from the Board of First Fruits, the building was described by Samuel Lewis in his Topographical Dictionary of Ireland (1837) Samuel Hall as ‘a plain, badly constructed edifice, in indifferent repair.’ Nevertheless it survived to serve its purpose until taken out of service in 1962: since then the church has fallen into its present ruin.